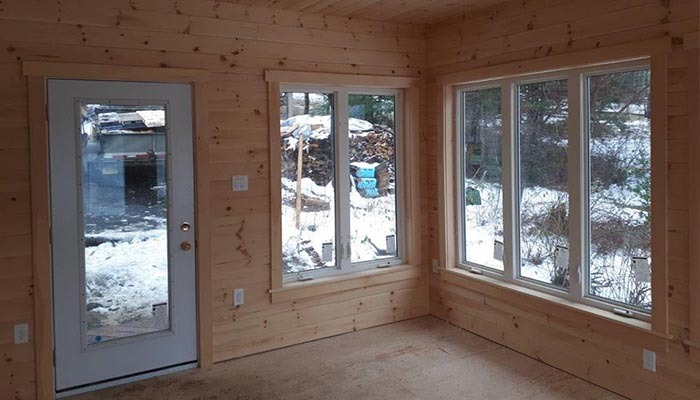 Want to visit the cottage without leaving your home this winter? 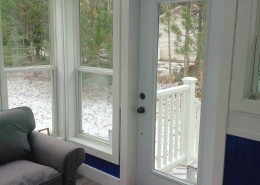 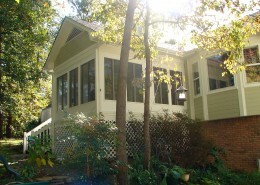 The interior pine boards gives this sunroom a relaxing cottage atmosphere that can be enjoyed all year-round. 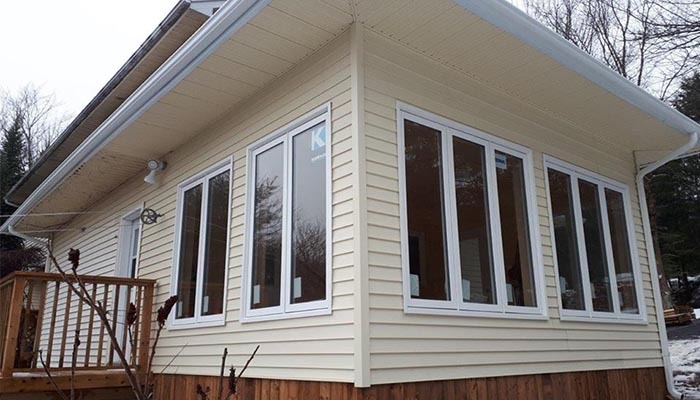 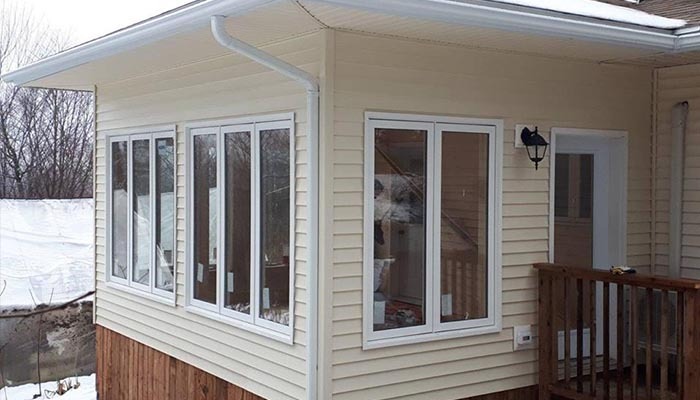 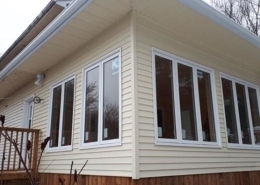 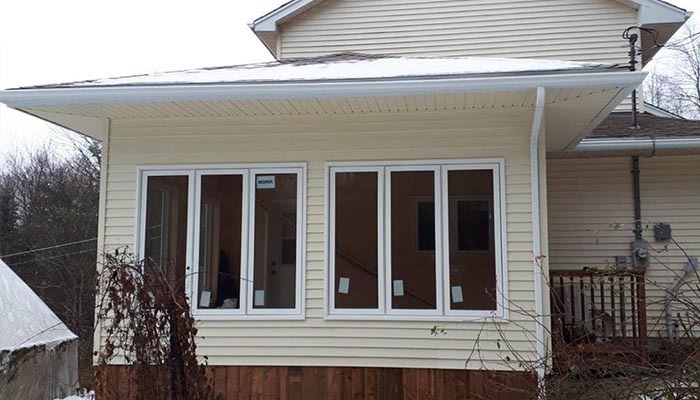 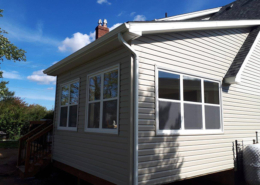 Whichever season it is, these homeowners will be able to see the luscious colours of the forest as they stay warm inside their new sunroom.